How often, especially in the Spring and Autumn Period,we experience the consequence of a cold or allergy manifestation, as the common cold. And do not you tell me what the inconvenience and discomfort, it is. When not trying to wrestle with this symptom: and medical methods (various types of nasal drops), and folk remedies. 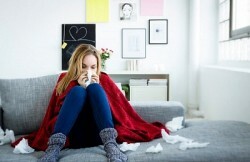 How often, especially in the Spring and Autumn period, we experience the consequence of a cold or allergies as a manifestation cold. And do not you tell me what the inconvenience andit is uncomfortable. When not trying to wrestle with this symptom: and medical methods (various types of nasal drops), and folk remedies. And here to the aid of the pharmaceutical market has a drug - Morenazal, which will be the story for the readers of our site. This drug is made from sea salt, which contains many different, useful components. They include elements such as zinc, selenium, iron, magnesium, iodine, potassium, phosphorus, sodium. These components of sea salt is very beneficial effect on the human body, providing a unique effect. It is known that in ancient times it was observed that the sailors and fishermen wounds on the hands from cuts heal quickly and not infected. Later it became known that sea salt has a striking therapeutic effect, acting on the body gently, and has virtually no contraindications. Morenazal made of sea salt,obtained from the Mediterranean Sea. It is isotonic sterile solution obtained from natural sea salt water for injection. And used as a nasal spray. The drug Morenazal used for washing, active irrigation, cleansing nasal cavity, restoring nasal breathing freely, as well as for the prevention of infectious diseases of the upper respiratory tract. Furthermore, Morenazal maintains a physiologically normal state nasal mucosa and liquefies mucus. Included in the Morenazala micronutrientscontribute to the removal of inflammation, enhance the processes of repair, stimulate the functioning of the ciliated epithelium, making the mucosa more resistant to damage. It promotes the removal of allergens and pathogens, excess mucus, scabs, dust and fine particles that clog the nasal passages and make it difficult to breath. 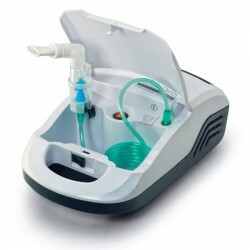 Helps get rid of scales and crusts without bleeding after the surgery. It reduces the amount of bleeding, reduces swelling of the mucous membrane of the nasal tract. 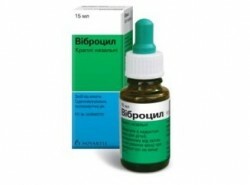 Reduces the risk of otitis (Middle ear inflammation). It enhances the effect of the use of local medicines. allergic, atrophic rhinitis, infectious rhinitis, rhinopharyngitis, rhinosinusitis. when dryness of the nasal mucosa. It can also be used as hygiene products for washing the nasal cavity. The drug is injected into the nasal passages - intranasally. Adults and children older than 2 years: in the supine position, the head turned to the side; Spray injected into the nostril, which is on top, and blown out through the nose 2-3 minutes, repeated injection into the other nostril. Children 1-2 years: the child in the supine position, head turned to the side; spray injected into the nostril, located on top. After put the child to brush his nose, repeated injection into the other nostril. 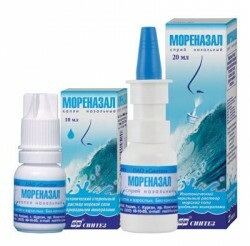 For children under one year Morenazal used as nasal drops.